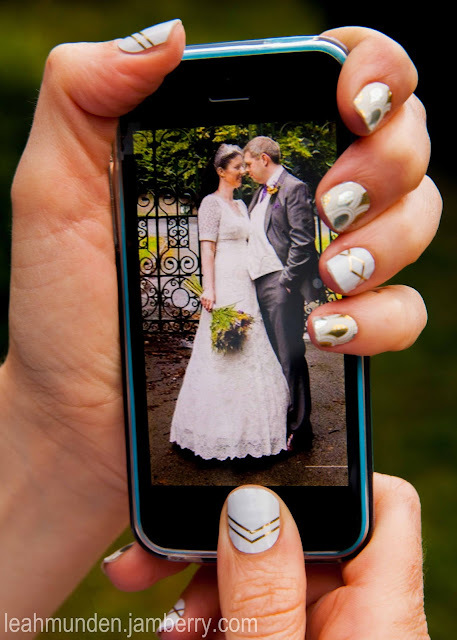 Today is our 2 year wedding anniversary, so of course needed my nails to look special for the occasion. These were applied Friday afternoon ready for our anniversary. How amazing is that, that I can do my nails 4 days before the event and they still look GREAT!! My toes also wanted in on the action. I applied Applique to the big toe and grey nail polish to my other toes.